Manchester City blew the title race wide open by inflicting Liverpool's first defeat of the season with an engrossing 2-1 victory at the Etihad Stadium on Thursday. Sergio Aguero proved the scourge of Liverpool again with a clinical near-post drive - his seventh goal in seven home appearances against the Reds - at the end of a frenetic first half, which saw Sadio Mane strike the post and John Stones hook his own deflected clearance off the line with millimetres to spare. Roberto Firmino headed Liverpool level on 64 minutes but parity lasted just eight minutes as Leroy Sane cannoned the winning goal in off the post at the end of a trademark City counter. City were simply not willing to relinquish their title without a fight, their victory reduces Liverpool's lead at the top of the table to four points and leaves the Premier League title race delicately poised. Man City: Ederson (7), Danilo (6), Kompany (8), Stones (8), Laporte (7), Fernandinho (8), Bernardo Silva (8), Sterling (7), David Silva (6), Sane (8), Aguero (8). Subs: Gundogan (6), Walker (n/a), Otamendi (n/a). 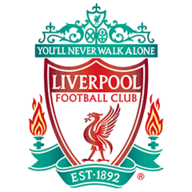 Liverpool: Alisson (7), Alexander-Arnold (7), Lovren (6), Van Dijk (7), Robertson (7), Henderson (6), Milner (6), Wijnaldum (7), Salah (6), Firmino (7), Mane (6). Subs: Fabinho (6), Sturridge (n/a), Shaqiri (5). Man of the Match: Fernandinho. The highly-anticipated clash between the champions and the challengers did not disappoint. City flew out of the traps early on, setting the tone for a pulsating half, but the better chances fell for Liverpool. Firmino slipped Mane through on goal after 18 minutes and his low strike cannoned off the post. Stones then fired his clearance into Ederson, sending the ball looping back towards goal, where the England international miraculously recovered by hooking the ball off the goal-line. Having weathered the early City storm, Liverpool pounced on the chance to go forward again as Virgil van Dijk's diagonal ball was brilliantly hooked back to the edge of the area by Andrew Robertson, and Mane lashed a volley straight at Ederson. 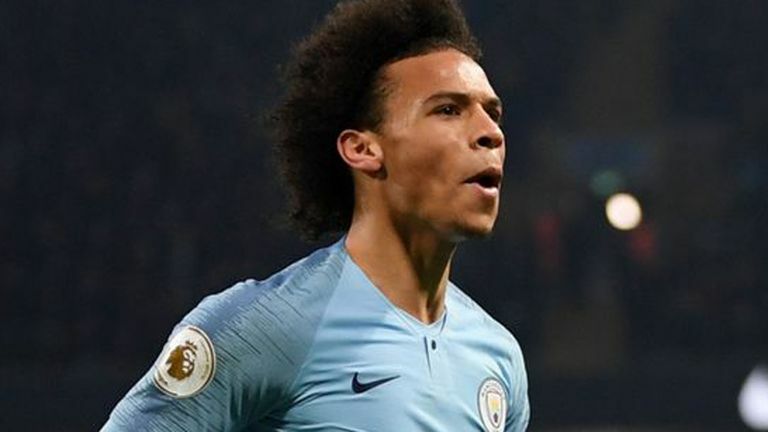 Pep Guardiola recalled John Stones and Leroy Sane in Manchester City’s two changes. Jordan Henderson and James Milner returned for Liverpool following the win over Arsenal. Vincent Kompany saw yellow and not red for a lunge on Mohamed Salah on the half hour, before appeals for a City penalty were waved away on 40 minutes after Aguero clashed with Van Dijk. But City sought their own retribution seconds later as the Argentine skipped away from Dejan Lovren and lashed a stunning drive past Alisson at his near post from a tight angle. Liverpool hit back just after the hour as full-backs Trent Alexander-Arnold and Robertson combined on opposing flanks and the left-back's brilliant cross was nodded home by the unmarked Firmino at the back post. The buoyant Reds threatened to add a quick-fire second but City responded in typical fashion as Raheem Sterling streaked clear, switched the play to Sane on the left and the Germany international fired the champions' second in off the woodwork. City could have had a third when Aguero tried and failed to round Alisson on 83 minutes, and Bernardo Silva pounced on a poor Lovren clearance late on. The Liverpool goalkeeper prevailed on both occasions but it was City left rejoicing at the end of a thrilling victory. Man City ended Liverpool's unbeaten Premier League start to the season in the 21st match - only Arsenal in 2003-04 (38 games), Man Utd in 2010-11 (24) and Man City in 2017-18 (22) have had longer unbeaten starts to a Premier League season. This was only Man City's second win in their last 12 matches against Liverpool in all competitions (D3 L7), winning at the Etihad in the Premier League in each of the last two seasons. Since the start of the 2011-12 season, Sergio Aguero has scored 37 Premier League goals for Man City in meetings between 'big six' clubs - 16 more than any other player. Liverpool have lost 10 of their 25 matches in all competitions under Jurgen Klopp in the month of January (W8 D7), making up 29% of his total defeats as Reds boss (10 of 35). Sergio Aguero has scored in all seven of his Premier League appearances for Manchester City against Liverpool at the Etihad, scoring one goal in each game. Since the start of last season, Leroy Sane has been involved in 26 goals in 25 home Premier League appearances for Manchester City (9 goals, 17 assists). Roberto Firmino has scored his 10th goal of the season for Liverpool in all competitions, registering double figures for the fourth consecutive season (11 in 2015-16, 12 in 2016-17, 27 in 2017-18). 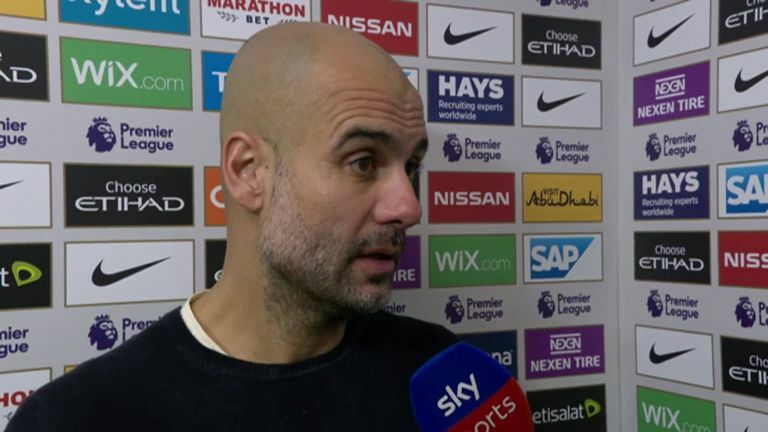 Pep Guardiola: "The game was a real game for both sides, we beat an incredible team. We were outstanding from the first minute. Liverpool don't concede goals and we scored two. We are happy for this victory to reduce the gap. Everything is open. If we lose today it is almost done, it would be so difficult. But we are four points behind them and they are the leaders. We have to fight a lot, but this gives us a lot of confidence." 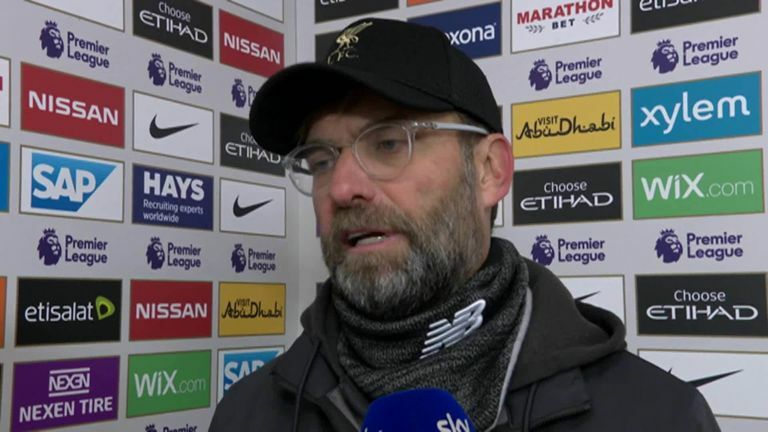 Jurgen Klopp: "It was a big pressure. Very intense game. We were unlucky in our finishing moments. Unluckier than City I would say. Sane scores and the situation with Sadio when he hit the post. They had periods where they dominated the game and everybody felt the intensity. But we came back and had big chances. It is always like this. You have to score in those moments." There were star performers all over the pitch for Manchester City, notably Bernardo Silva, Sergio Aguero and Aymeric Laporte, but the champions' midfield enforcer underlined his continued importance to Pep Guardiola's side. James Milner and Jordan Henderson were drafted into the Liverpool midfield ahead of kick-off, perhaps in a bid to cope with the shift Fernandinho was about to deliver. But cope they could not. City's title defence momentarily derailed in the Brazilian's absence, but having got it back on track, he could play as big a role as any in the destination of the title. 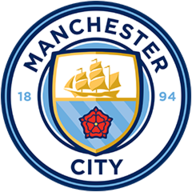 Man City host Rotherham (Sunday, 4pm) and Burton (Wednesday, 7.45pm) in the FA Cup third-round and Carabao Cup semi-finals, respectively, before Wolves travel to the Etihad on Monday Night Football on January 14, live on Sky Sports. Liverpool travel to Wolves in the FA Cup (Monday, 7.45pm) before resuming their Premier League campaign away at Brighton at 3pm on January 12.